“For He is our PEACE, who hath made both [Jew and Gentile nationalities] one, and hath broken down the middle wall of partition between us” (Ephesians 2:14). One of the types of peace the Lord creates is social peace. This unity of diversity is called the church, which is the body of Christ. It’s not that the church will have peace with all societies. But it is within the body there is a spiritual equality of all nationalities and societies promoting peaceful relationships: God’s united nations. God the Father has designed this body that functions as “the unity of the Spirit” or “the unity of the faith”. “For we are His workmanship created in Christ Jesus …” (Eph. 2:10). There is the physical creation by Christ Jesus that expresses the glory and power of God and there is a spiritual creation in Christ Jesus (His spiritual body) that expresses the grace and love of God. This plan was accomplished by the work of the Son on the cross. As death usually does it brings legal connections to an end such as the death of a spouse. The bodily death of Jesus (who fulfilled the law) has brought to an end the relationship to law with its religious rituals and rules (ordinances). These rules of diet, dress and ceremonial cleanliness kept the Jewish society divided from the unclean nations. 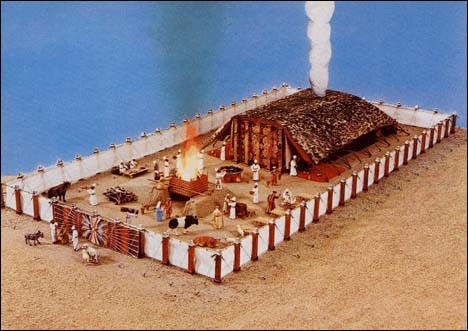 In the death of Christ this religious wall came to a legal end: “hath broken down the middle wall of partition between us … to make in himself of twain [Jew and Gentile nationalities] one new man, so making peace” (Ephesians 2:14,15). Now it is the precious blood of Christ that makes all members of the body equally clean and acceptable before God (Ephesians 2:13). Now the emphasis in the body is not what each member does differently or is nationally but what each member shares in common. That’s why the faith is also called “the common salvation” (Jude 3). The body (as bodies do) has only one Head. The head is the authority and wisdom for the movements of the body. The common Head of the body is the living Lord Jesus Who is in heaven (Ephesians 1:22, 23). The connector between the Head in heaven and the body on earth is the Spirit of Christ in every member. Thus every member shares this common union: the same life and authority. It is the body of Christ that uniquely functions on earth while being sustained and directed by heaven. A diversity that has become a unity. Discrimination does not exist in the design of the body. The body is where every member regardless of nationality, gender, social class, culture or religious birth is equally forgiven, accepted, and gifted with the new life of the Spirit and eternal life and destined to reign with Christ: saved. “There is neither Jew nor Greek (national), there is neither bond nor free [social], there is neither male or female (gender): (Colossians. 3:11 adds; “circumcision nor uncircumcision (religious heritage), Barbarian, Scythian” (cultural) for ye are all one in Christ Jesus” (Galatians 3:28). Each one must be placed in the body by Jesus Christ the Lord. He does this by uniting to Himself every member with the baptism of His Spirit. This same Spirit, which now resides in the heart, also unites each member to one other as one body. This sealing and baptism with the Spirit happens instantly when one places their faith in Christ Jesus for salvation (based on His blood sacrifice for their sin and His resurrected life before the Father as their representative Priest) (1Corinthians 12:13; Ephesians 1:13). This is the love of God in Christ Jesus offered to all nations. Membership in the body of Christ, His church (called out assembly), is not obtained by signing a document of creed or rules. Rather it is a living transaction between God and the believing sinner who trusts “the faith in Christ” as revealed in His Holy Scriptures. Membership in the body of Christ is the only membership the gospel of God knows of. It is the Christian local churches in the various nations that are to give visible expression to the Head’s glory, gospel and grace: the Lord Jesus Christ. Here each member while equally possessing the Spirit of life has also been given different spiritual abilities called gifts. The gifts are to be used in their proper order to build up the church into God pleasing ways of truth – unlike the world. (Ephesians 4; 1Corinthians 12-14). The gathering together of members of the body in each locality (in assembly or “in the church”) is to be under the Head with Spirit-made overseers (elders) shepherding into the Lord’s ways. Here as a testimony unto the Holy God there is to be recognition, rejection and removal of evil (doctrinal and moral error based on the Lord’s evaluation, not feelings) from the local church fellowship (1Corinthians 5). Here is to be the remembrance of the Lord Jesus in the Lord’s Supper in a world that has forgotten and crucified Him. Also here the proclamation and practice of the Lord’s word occurs in contrast to the philosophies and ways of the world (1Corinthians 11-14). Here in a practical way members in forbearing love are to be “endeavouring to keep the unity of the Spirit in the bond of peace” (Ephesians 4:3). The churches of believers are God’s living sanctuaries for His pleasure and light of His truth in a dark world until His kingdom comes. Among all nations (Romans 1:5). Until He comes for His body (either dead or alive) and bring worldwide judgment and then His kingdom (1Thessalonians 4:16-18; 5:1-9; Revelation 5:10). In the Father’s hand. The Son of God said: “Therefore be ye also ready: for in such an hour as ye think not the Son of man cometh” (Matthew 24:44). Faith will believe and live for Him in patience. Unbelief will weary of waiting and live for the now – earthly things. WARNING – This social unity has been imitated by man’s religious, political and organizational inventions, having been seduced by Satanic deceptions (2Corinthians 11:1-13). However, man’s unity, unlike the body of Christ, is not built on the foundation of the “Prince of Peace”, Jesus Christ the Lord and therefore true peace will never be obtained without Him.